India and Australia have been involved in many verbal duels in the past and this time too skipper Steven Smith has made it clear that his team won't shy away from sledging the Indians, even as his deputy David Warner has indicated that they will not sledge the in-form India skipper Virat Kohli. Stylish Indian middle-order batsman Ajinkya Rahane said on Monday that the Indian team has plans in place for each of the Australian players and would look to play attacking cricket during the four-Test series, beginning on Thursday in Pune. "We don't know if they will sledge or not. We have someplans against each of them, I can't discuss that here, skillwise or sledging wise, there is definitely a plan. We know that Australian players play mind games. Our aim would be to dominate them in every aspect," Rahane told reporters at Pune. "We will look to play positive cricket, attacking cricketnot only against the spinners but all the bowlers. Practice game and the Test match is completely different, so we have toread the condition well and play according to the situation,that would be the key," he added. Rahane said India would look to focus on own strengthsinstead of losing sleep over the combinations of the opponent during the Test series. "They are coming to India and will be expecting a turning track. So yes three fast bowlers and five spinners is theircombination but for us it will be important to play to our potential and not focus on their bowling attack, strategies. It is important for each team member to back our own game. "It will be a different wicket. We have to wait and watch. Once the first day is over, we will have an idea about how it will behave the five days," he said. On a question about switching between different formats of the game, Rahane said: "Whatever format you play, you want to give your best for your team whether it is T20, Test or ODI. But if you are playing two or three formats it is all about how you adjust mentally. It is all about mental adjustments rather than technical adjustment." Making a comeback after recovering from a finger injury, Rahane justified the faith shown in their abilities by theteam management with a 133-ball 82 in the first inningsagainst Bangladesh in the one-off Test. 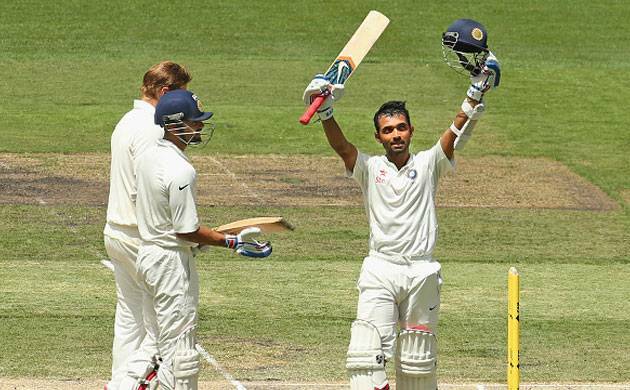 Asked about the innings, Rahane said: "That innings was very important for me. I was really excited about that Test match, coming back after two months and importantly I got 82, good to spend time in the middle. But it is important to start afresh here. "Australia, we all know, is a very good, experienced team. So it will be important to play to our potential, backourself in the middle. As a team we are playing really welland it is important to take one game at a time." Rahane also thanked his captain Virat Kohli for picking him ahead of Karun Nair, who scored an unbeaten 303 against England in his third Test. "Injuries are part and parcel of the game, you don't have control over injuries. It was really good to see Karun get 300runs for the country and in the end we all are representing India and I would like to thank the team management and thecaptain for backing me in the match against Bangladesh. I am really confident at the moment playing against Australia. "For all of us it is important to play one game at a time and momentum will be the key. If we play well in the first game, we will have to carry that momentum forward," added the28-year-old.